The State Board of Education on Wednesday took no action on a request by the San Jose Unified School District and its teachers union for a waiver from the state’s teacher tenure law, with board members saying they were conflicted between expressing admiration for the district’s collaborative relationship with teachers and worrying about the legal implications of approval. 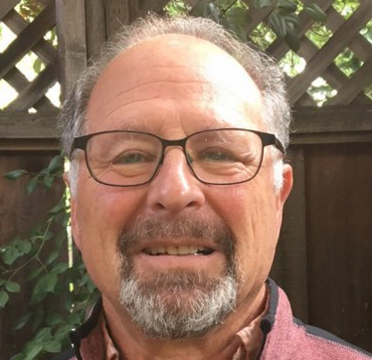 The district and the San Jose Teachers Association have a contract in which a panel of administrators and teachers together evaluate probationary teachers, defined as those in their first two years on the job. In other districts, teacher evaluation is the sole authority of principals. As part of the process, San Jose wants the State Board to give it flexibility to extend by one year the state’s two-year limit on probation before deciding to dismiss the teacher or grant permanent status, often referred to as tenure. The issue will come back to the State Board at its next meeting in May. While not taking a vote on Wednesday, the board discussed it at length and took testimony from the district and opponents. Jennifer Thomas, president of the local teachers union, framed the waiver request as consistent with Gov. Jerry Brown’s emphasis on local decision-making, and as reflecting the shared priorities of teachers and the district. Extending probation in rare instances would provide “equity and justice and fairness” for teachers who deserve another year on the job to prove themselves, Thomas said. There are circumstances, such as when a teacher is assigned to a different grade in the second year or changes schools, with a different principal giving a conflicting evaluation, that justify extra time, she said. In its waiver request, the district is also asking for authority to grant permanent status to teachers after only one year if they have clearly demonstrated a high degree of competence during that period. San Jose faces opposition from the staff of the state Department of Education and the California Teachers Association, which said in a letter to the State Board that a waiver would set a bad precedent by denying the same due process rights for all probationary teachers. The district and teachers also face bad timing. The State Board of Education is a defendant in the ongoing Vergara v. the State of California trial, which is challenging teacher protection laws, including the two-year tenure statute, which teachers unions view as critical to attracting and retaining teachers. The lawsuit claims the laws violate the constitutional rights of low-income, minority children to an equal education. It is possible, though not likely, that the Los Angeles County Superior Court judge hearing the case will have issued a decision when the State Board reconsiders the waiver request in May. Board member Sue Burr said she too appreciated the “passion and innovation” of the San Jose partnership but agreed with the state Department of Education staff that the district should take its case to the Legislature. “This would be a fundamental change to long-held principle,” she said. And she said that the State Board already has the authority to grant waivers for individual teachers who find themselves in unusual circumstances, such as a maternity leave in the middle of probation. 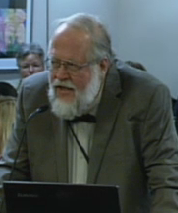 Ken Burt, a lobbyist for the California Teachers Association, reiterated those points in his comments to the board. “The Legislature struck a delicate balance,” he said, when it gave districts the right to dismiss probationary teachers without having to cite a cause, then awarding due-process rights or tenure after two years. The State Board’s right to grant waivers for individual circumstances would cover exceptional cases, he said. But San Jose Unified Superintendent Vincent Matthews said the district chose not to go to the Legislature because a waiver is best suited for a unique local circumstance. Thomas said it would be cumbersome and difficult to meet the legal deadlines to approach the board every time a waiver for an individual teacher is needed. 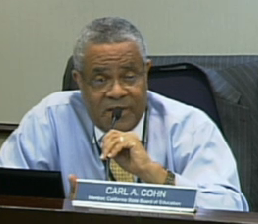 Board member Carl Cohn said a waiver for San Jose would serve as a pilot for the state. The one State Board member who was unequivocal in supporting the district’s request was Carl Cohn, who said “I believe this is a big state that should allow for a pilot or two.” Board member Patricia Rucker, who is a legislative advocate for the California Teachers Association, recused herself from the discussion. The State Board’s failure to take action not only enables San Jose to make a second try at getting approval in May; it creates the possibility that a waiver will be approved without the board having to formally vote on it. Under the California Education Code, if the State Board takes no vote or cannot reach the six votes for approval or denial after two hearings, a one-year waiver from the teacher tenure provisions would take effect automatically. This is rare, but has happened as a result of split votes within the past several years, said Judy Cias, chief counsel for the State Board. That is one reason Thomas said she was encouraged that the board didn’t deny the waiver outright on Wednesday.